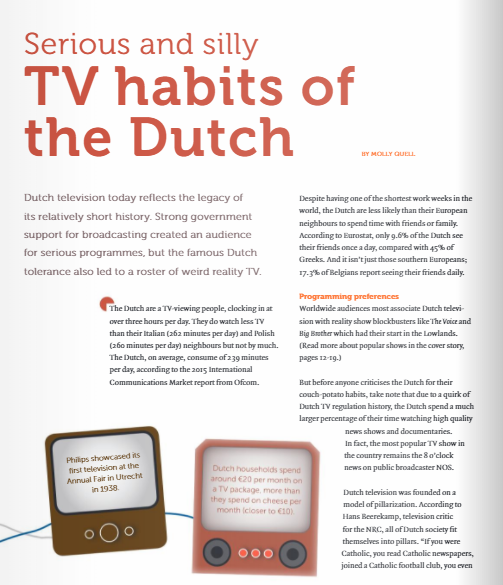 Dutch television today reflects the legacy of its relatively short history. Strong government support for broadcasting created an audience for serious programmes, but the famous Dutch tolerance also led to a roster of weird reality TV. Read more.